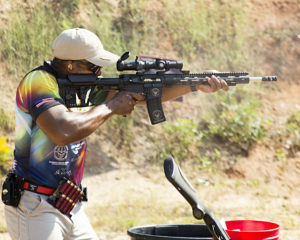 Looking to learn about 3-Gun competition, or improve your skills? Join expert 3-Gun competitor Adolphus Jones, Adolphus Jones for this 1-Day course offers a thorough rundown of what you need to know before competing in your first 3-Gun event. This class will cover the sport from A-to-Z including the guns, gear, rules, and what to expect at your first match. Sandhill Shooting Sports is not handling the registration for this class. All registration and class related questions should be handled through 3-Gun Nation.